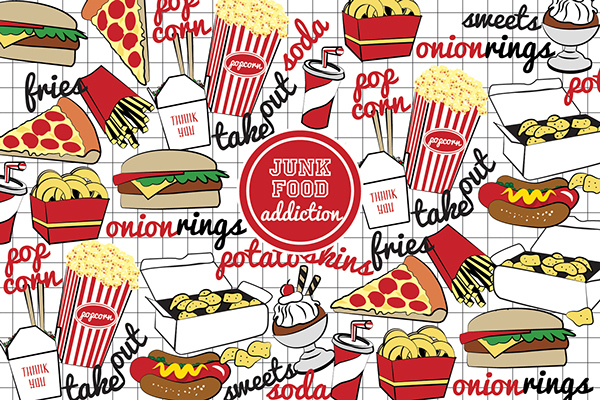 In 'Will You Pass Your Junk Food Addictions On?' KJ Dell'Antonia writes about our emotional connection to food and preventing our children from developing the associations we have with certain foods. She asks "What is your junk food weakness? And do you try to keep your children from picking up your worst eating habits? How?" I've already written about how I've tried to get my kids to eat healthy. It hasn't been easy, but my experience has been that kids will eat what you give them, and besides my own cravings, the biggest obstacle has been social pressure. In our home the mains foods we try to avoid are sweets. I've never been that concerned with fats, although I do try to avoid excessively greasy or fatty foods as I've gotten older. We mostly drink water or seltzer, and our kids only drink water. We try to make sure we eat a large variety of vegetables, and lately we've included more nuts and seeds. Although eating healthy isn't easy, or inexpensive, in addition to having direct health benefits, it is one of the ways that we try to set a good example for our kids. Have you thought about how your diet affects your children? If so, what have you tried to do about it? The Extraordinary Science of Addictive Junk Food is an excellent example of free market capitalism's effect on diet, health and society.